SAHHEAL believes in merging the micro and macro elements. While individuals make up communities, when the whole community is aligned to a larger goal then the community’s productivity increases many times due to the focus. Why Wellness in today’s world? The WHO and World Economic Forum have discovered that no more are communicable diseases a cause of concern for humanity, it is non communicable diseases that result from an inactive lifestyle and a high consumption of tobacco and alcohol. Some common diseases are cardiac disorders, cancer, arthritis, obesity and respiratory diseases. These result from high stress and an imbalance in lifestyle and results in loss of productivity, huge health insurance costs from the company, absenteeism from work and loss of talent and engagement of the employee. 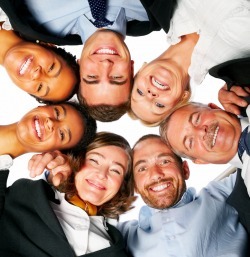 Evaluates and assesses the Wellness of the company. Brings in interventions at the individual and family level to balance lifestyle.